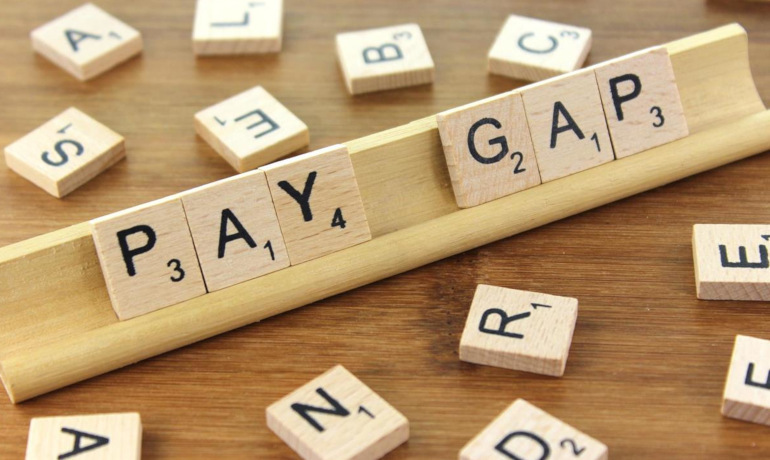 All but a handful of employers in the UK have now reported their gender pay gaps (“GPG”). Employers would be wise to start planning ahead for next year’s report, which will sit alongside this year’s results, making it easy for the workforce and the wider public to make comparisons and criticisms and ask questions about what is being done to narrow the gap. With that in mind this article looks at what employers can do to narrow the gap. There are many strategies businesses can use to improve their GPG statistics. We have put together a Gender Pay Plan (displayed below) which categorises the main types of strategies businesses can employ to target gender pay differences. These strategies impact the entirety of the employment life cycle. There are various tools which can be used in recruitment and promotion processes to encourage a better gender balance, including using blind recruitment processes to reduce unconscious bias and setting diversity targets for ‘hot spot’ areas. Looking carefully at senior positions and the talent pipeline for those positions is an important part of the Gender Pay Plan, particularly since it is these positions that are likely to most significantly influence GPG statistics. Enhancing family friendly policies to make it more culturally and financially viable for both men and women to take periods of leave to look after their families is a necessary step to help address the high number of female employees dropping out of the workforce at crucial times in their career. Finally, to make any policy or practice changes stick, employers will need to critically examine their culture to identify how women can be better supported. This may take the form of training for managers, or improving flexible working arrangements and managers’ attitudes towards flexible working. Committed employers will look at the Gender Pay Plan as a whole to ensure that the pieces work together so that lasting changes are brought about and investment is optimised. Some employers are going back to the drawing board and taking a close look at their recruitment materials and how these materials shape the kind of person they attract. Southern Electric (“SSE”) were one of the first companies to publish their GPG data, voluntarily reporting results in 2016 before mandatory reporting came into force. SSE looked carefully at marketing materials such as adverts, case studies, video and career events and noticed a lack of female role models, which could help explain the relatively low number of applications from women. To change this they began to use examples of successful women working within SSE in these marketing materials to shine a light for other women. Whilst it may seem a cosmetic solution, its purpose has a deeper impact in ensuring that the company appeals to a wider variety of individuals. The strategy helped SSE attract significantly more female applicants which resulted in a substantial increase in the number of offers made to female apprentices and graduates. Another tool employers are using for selection is the use of ‘blind recruitment’. This typically means that employers cannot see the name, gender, age or school of the applicant. This has been shown in many cases to reduce unconscious bias and to increase the number of female candidates (and minority group candidates) in the recruitment process. Go Compare, the price comparison website, announced earlier this year that it would use blind CVs and all-female shortlists in a bid to encourage more women into engineering roles. Several studies have been conducted which suggest that people tend to hire people who remind them of themselves, resulting in recruitment pools that are artificially narrow. To address this problem, many employers are paying more attention to the composition of their interview panels to ensure that there is a gender balance (with some going further and thinking about race, age or seniority balance on interview panels). In June, accountancy giant PWC announced that it was banning all male recruitment panels in a bid to improve the diversity of the workforce. Many employers are considering policies to ensure that candidate pools are more gender balanced. Barclays, Credit Suisse and KPMG, to name a few, are all setting gender targets for separate business lines and functions. Businesses like these tend to link managers’ targets to clearly defined diversity milestones and timeframes, using the carrot rather than the stick approach to encourage managers to consider a better mix of candidates. The GPG statistics on their own don’t actually tell us that much. Whilst the raw data identifies the GPG in six different forms, it doesn’t show employers where the problems lie. Drilling deeper down into the data, perhaps with the help of a specialist audit team, will help employers identify which departments or roles within the business pay more (or less) and who is in those roles. Employers can then think about which areas of the business should be targeted as requiring the most attention (the ‘hot spot’ areas). For example, a business may identify that its managerial roles are filled predominantly by men, and its administrative roles are filled predominantly by women. That business may then look at strategies to encourage more women into managerial roles and possibly more men in to the administrative roles. Other action employers can take to target ‘hot spot’ areas include creating targeted recruitment campaigns for those areas and/or setting specific gender targets in those areas. Some businesses link these targets to managers’ appraisals and bonuses to encourage results. “If we require wine industry experience, the wine industry is male-dominated, so we’re fishing in a pool of men,”. Clearly, Majestic are thinking about the long game. Changing the skill requirements for ‘hot spot’ areas is unlikely to make a huge impact immediately, but it has the potential to open up the candidate pool and attract a new line of candidates, which should then feed the future senior talent pipeline with greater diversity. Some trends we have seen from employers with a relatively low GPG include a focus on how promotion works internally. Having a transparent promotion process with identifiable and objective skill and experience requirements for each role is important in helping avoid unconscious bias. Encouraging more formal promotion processes internally forces managers to think more widely, rather than promoting the obvious (often male) candidate. Alongside honing their promotion processes, some employers are focusing on mentoring and coaching programmes which encourage women to think about their career progression. Leadership programmes help candidates feel valued and harness talent for future leadership roles. Unilever have pledged to offer purpose-driven, development-focused career conversations alongside succession plans in a bid to encourage greater female representation in senior positions. In the overwhelming majority of companies, senior positions and boards of directors are under represented by women. Paying special attention to the most senior employees is important because it is widely acknowledged that representation at the top tends to lead to improved representation at all levels. Women in senior positions are often role models for both junior women working in the business and other women outside the business who may be potential lateral hires. Senior and board level positions also tend to carry the highest salaries and bonuses, so these roles can impact the GPG significantly. To target senior positions, some employers are mandating recruiters to bring in a minimum number of ‘counter-stereotypical’ candidates for senior roles. Some are setting targets for senior positions and enforcing gender-balanced recruitment panels. Others are looking carefully at how each piece of their Gender Pay Plan fits together to ensure that the long-term talent pipeline includes a representative number of female candidates. Diageo Great Britain Limited, who sell household alcohol brands, have a mean and median pay gap which is favourable to women. They are the FTSE 100 company with the highest number of women at the most senior levels with 44% of their board directors, 40% of their executive leadership and 30% of their global senior leadership team being women. Diageo are not a company to rest on their laurels; they have set themselves a target of having 40% women in their global senior leadership levels by 2025 and for 50% of their graduate intake to be women. Setting public targets is more likely to encourage female candidates to apply for roles and promotions and to drive results within the business. Pay and bonus awards are, of course, a key part of tackling the GPG. Whilst gender pay is a different beast from equal pay and the two should not be confused, they are related and an important part of addressing the GPG is ensuring that pay scales are as fair and transparent as possible. A key part of addressing the GPG is for employers to take a close look at their appraisal and bonus systems. These systems should be designed to be transparent and fair so that they do not incorporate built-in bias and so that candidates understand how they are rated and why. If businesses drill down into their GPG, they can structure their appraisal and bonus systems to target women in ‘hot spot’ areas so that they can more easily achieve recognition, promotions, pay rises and bonuses. Reward consultants may be able to help review these systems and suggest ways to improve. Some employers may consider carrying out pay audits within their business in order to ensure internal pay scales are fair. However, employers should consider the status of such an audit and should take advice on preserving legal privilege, given the risk of potential complaints from the workforce. Across many states in the US including New York, San Francisco, Delaware, and Massachusetts, it is illegal to ask incoming employees what their current salary is. The reason behind this is that it is widely thought that men are more likely to inflate their existing salaries (or their salary expectation), while women are more likely to provide an accurate or even low figure. This means that when some employees begin work, men and women are already being paid different rates, even if they do the same roles. The pay gap becomes ‘stuck’ from the beginning and can be difficult to eliminate. This pay disparity then tends to continue through every rung of the ladder in that organisation. While such a ban is not mandatory in the UK, employers may want to think about voluntarily incorporating this practice and making salary offers based on an objective basis such as by undertaking an industry benchmarking exercise (which a recruiter may be able to assist with). Many employers are encouraging different forms of flexible working practices. Some, such as Telstra, the Australian telecoms firm, have gone as far as making flexible working the default. Flexible working practices can take many forms including agile working (i.e. from a location other than the main office), compressed hours and alternative working hour arrangements. All of these policies support working parents and other persons who have a need or a desire to work outside the normal 9-5 working hours in the office. Encouraging this kind of flexibility will make it more viable that women can continue to be engaged and valued members of the workforce and continue to move through the ranks along with their male peers. Agile working tends to work most effectively when coupled with an investment in IT so that it is practically easier for employees to work from home, and technical disruption is minimised. Therefore many employers are using pilot schemes to test out flexible working arrangements before they take the plunge. Using ongoing communications internally in relation to flexible working (along with family leave) is an important part of making sure the policy changes have an impact on culture and the GPG. Employers are investing in unconscious bias and other training to help staff identify and help challenge gender biases. SSE have developed ‘Encouraging Difference Steering Groups’ to allow employees to work on their values and culture at ground level, with employees across different business groups and seniority levels. Some innovative businesses are thinking beyond the normal ways to encourage female participation in the workforce. SSE sponsor the Women’s FA Cup, promoting their support of women, particularly in under represented areas such as football. They also invest in schemes such as Teach First, designed to target secondary school girls to encourage them into STEM subjects. These are investments made by SSE which are likely to have a long term impact on female engagement with the business. A key part of encouraging female participation in the workplace is ensuring that both parents feel able (financially and culturally) to be able to take periods of leave. More and more employers are enhancing their leave policies to make it more viable for primary and secondary parents of any gender to share parental leave. Many employers pay employees full pay during the two week optional paternity leave, over and above the minimum statutory pay which is currently £145.18. Similarly, more and more employers are offering enhanced shared parental leave packages to male and female employees which matches the package offered to women on maternity leave. “We never saw this as a cost benefit decision, we saw this as an investment in our workforce of the future and in our culture”. 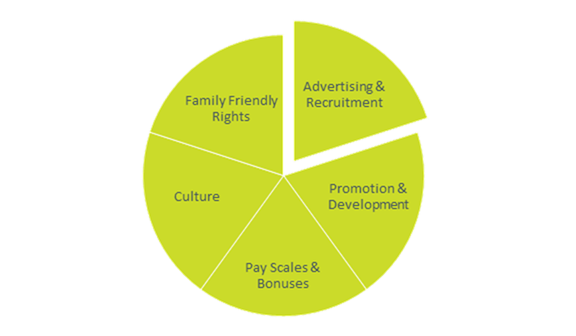 Employers who make important policy changes to their family rights are likely to receive positive employee engagement and press attention. One of the key problems nearly all businesses face is losing key female talent at a certain level in the business when employees leave the workforce (temporarily or permanently) to care for a family. A PWC study (The £1bn potential of women returners) highlighted that there are around 427,000 women in the UK on a career break who want to return to work in the future, but that three in five of those women are likely to move into lower-skilled or lower-paid roles, reducing their earnings. The same study estimated that 29,000 of women who return to the workforce on a part-time basis will be underemployed, meaning they would prefer to work more hours if flexible working opportunities were available. So what can employers do about this? Employers may want to set up an internal steering group to gather feedback on how employees feel they could be best supported on their return to work after periods of family leave. Other tools may include flexible working (as discussed above), job sharing, a focus on avoiding occupational downgrading, and a conscious effort to avoid the stigma associated with CV gaps. PWC is one of a number of businesses offering a specific return to work programme. PWC’s programme, Back to Business, enables senior professional women to return to work after a career break by undertaking a six-month paid senior internship programme. Larger employers who are able to justify the resources to set up this kind of returner programme may find that it has a significant long term impact on their GPG and their diversity programme more generally. To encourage greater reintegration into the workforce some employers are reaching out to employees towards the end of their planned leave to offer them a mentor, coach or simply a meeting with the HR team so that they can understand the employee’s objectives. After this, the support should continue once the employee has returned to work to ensure the employee feels engaged and that they have an opportunity to discuss any reintegration concerns. A key theme across each element of the Gender Pay Plan is promoting transparency in the workplace, particularly for recruitment, promotions and pay scales. This transparency helps reduce the use of arbitrary decision making which tends to reinforce the status quo and does nothing to enhance the culture in the workplace or the GPG statistics. Employers need to play the long game if they want to make meaningful changes to the GPG; a quick fix might impact the figures for one year, but it will take investment (both in terms of financial and management commitment) to make changes that will continue to impact on the GPG. Ultimately employers who are committed to reducing their GPG will need to think about all aspects of their Gender Pay Gap Plan and ensure that strategies are in place to make a meaningful difference to the participation and reward of women in the business on a short and long term basis.